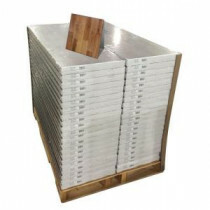 Buy online American Hickory 8 mm Thick x 15-1/2 in. Wide x 46-1/2 in. Length Click Lock Laminate Flooring (845.88 sq. ft. / pallet) 875281-42P and leave review or share with Your friends.